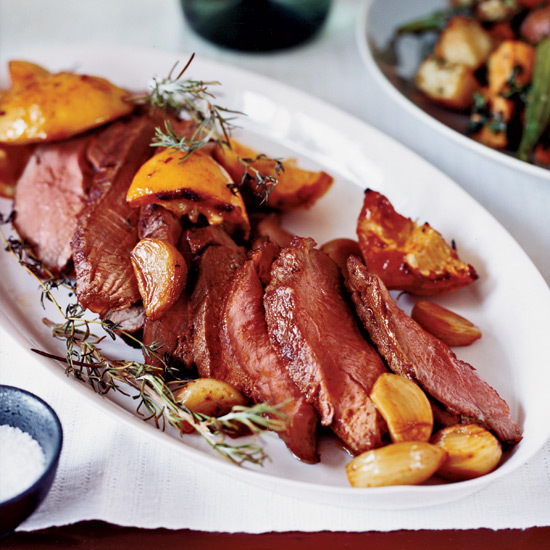 Not all roasts have to spend all day in the oven: these are ready in under 40 minutes. 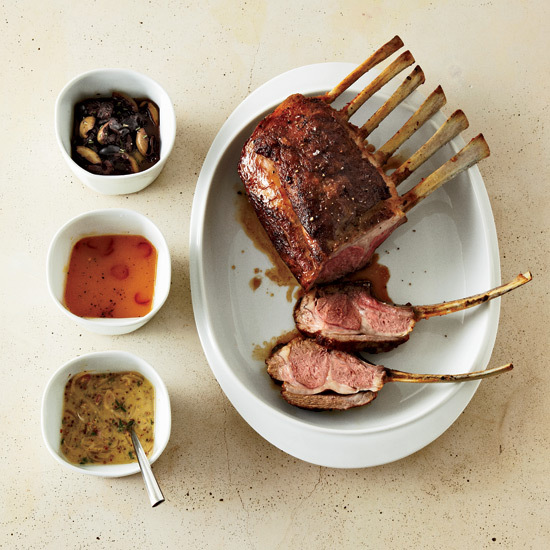 Sweet and spicy mustard0shallot sauce brings depth to medium-rare, juicy lamb. 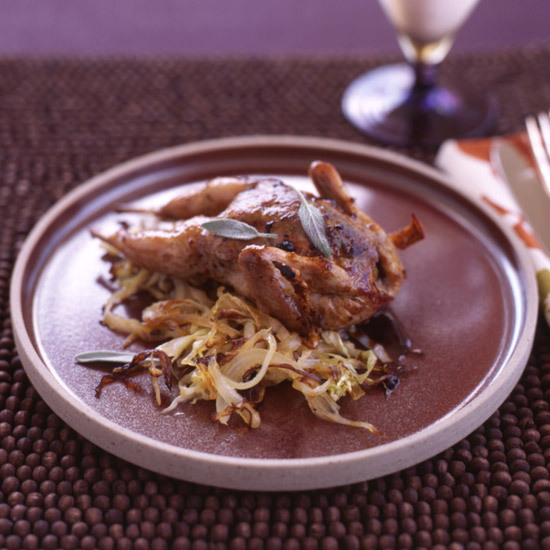 For something so elegant, these petite quail, stuffed with Madeira-soaked raisins and served with cabbage seasoned with caraway, are supersimple to make and full of lean protein (from the quail), antioxidants (from the raisins) and phytochemicals (from the cabbage). Verjus, a cooking liquid pressed from unripe grapes, is a staple of classic French cooking; chefs love it today for its pleasant tang, which is much milder than vinegar. 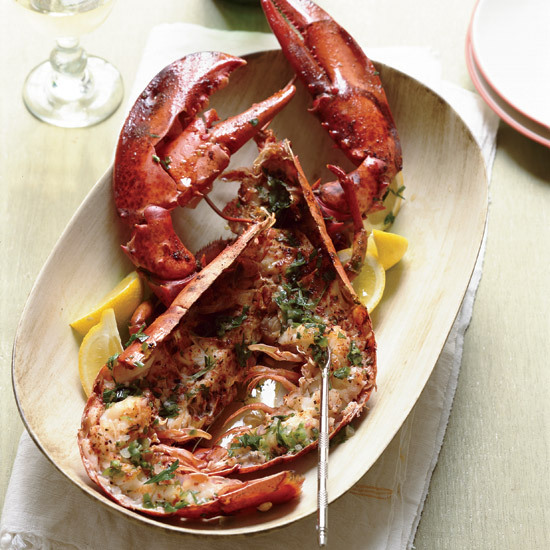 David Page uses verjus two ways here: to help baste the lobster as it roasts and to brighten a jalapeño-and-tarragon-inflected vinaigrette served over the sweet meat. Lamb, says chef Marcus Samuelsson, is one of Africa's most popular meats. Here, he butterflies a leg to help it cook more quickly and rubs it with paprika, ancho chile and ground cardamom—recalling the fiery Mozambique condiment piri-piri. 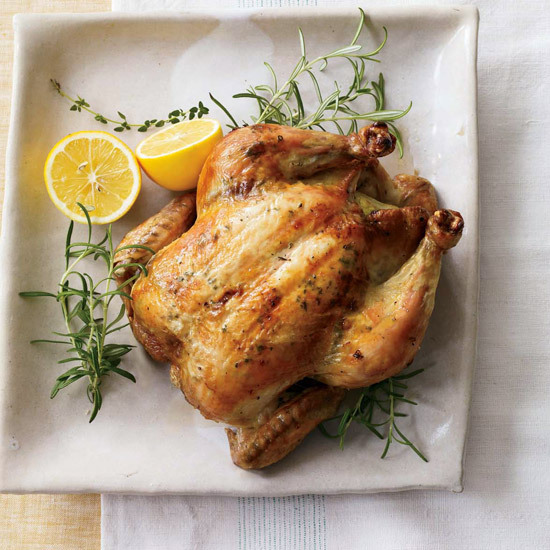 Lean pheasant roasted with an herb butter spread under the skin is delicious all by itself, but Vongerichten makes it even better by serving it with a fiery condiment of pureed fresh horseradish. 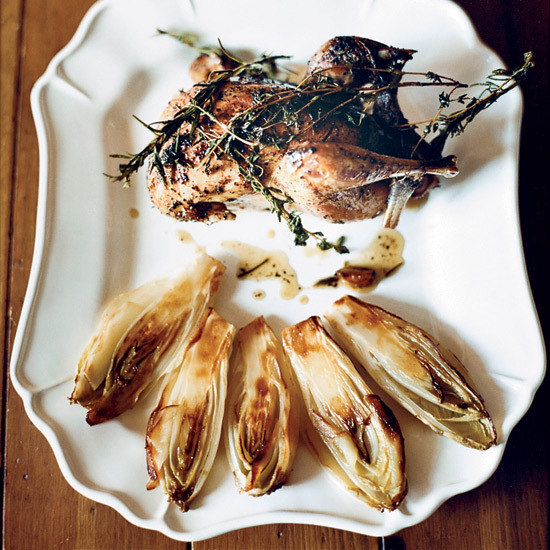 He places caramelized endives on the plate too, hiding thin slices of apple between the leaves like sweet and tangy petals. 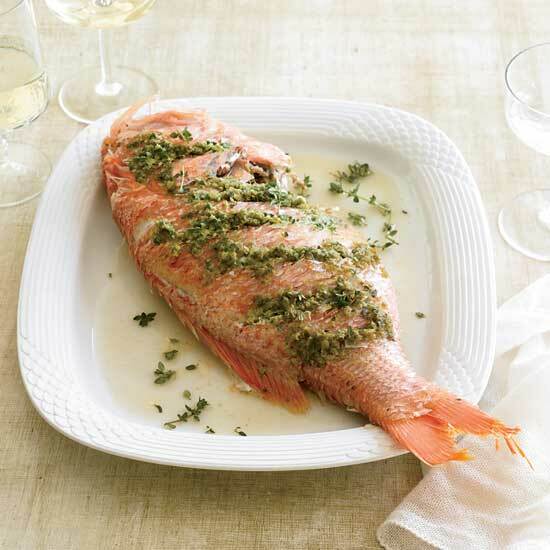 For one whole cleaned and scaled 3-pound red snapper.